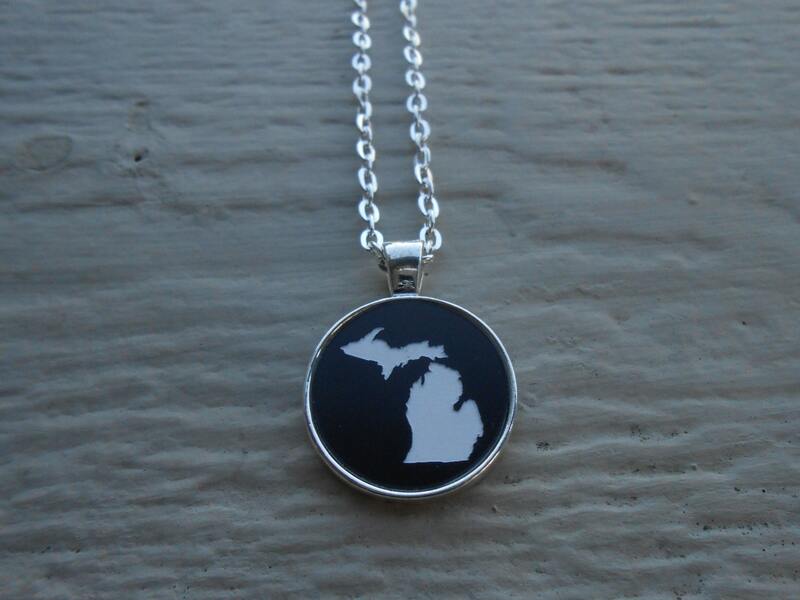 This necklace can be made with any state! 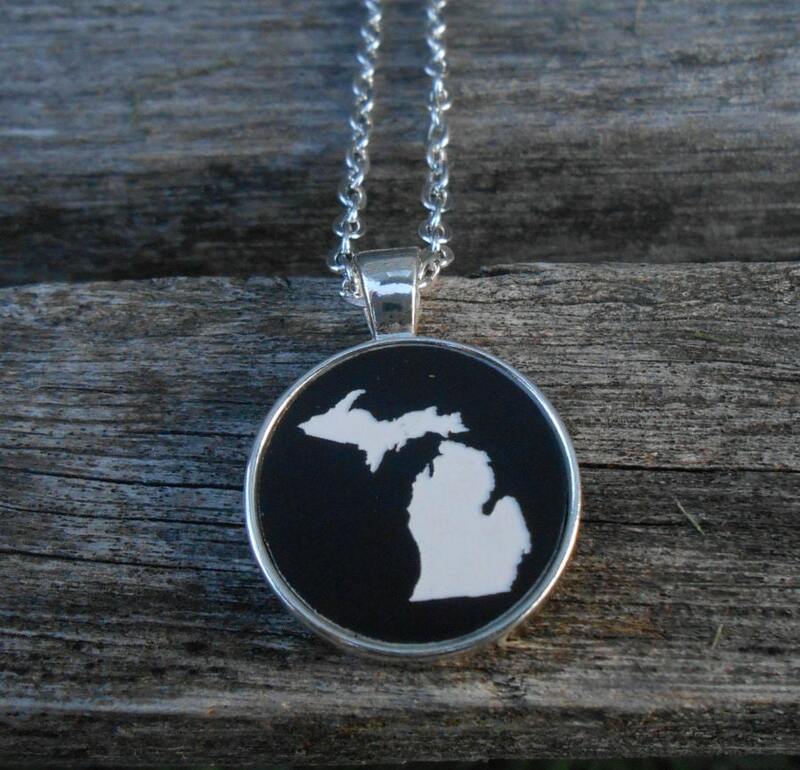 It is shown with Michigan. 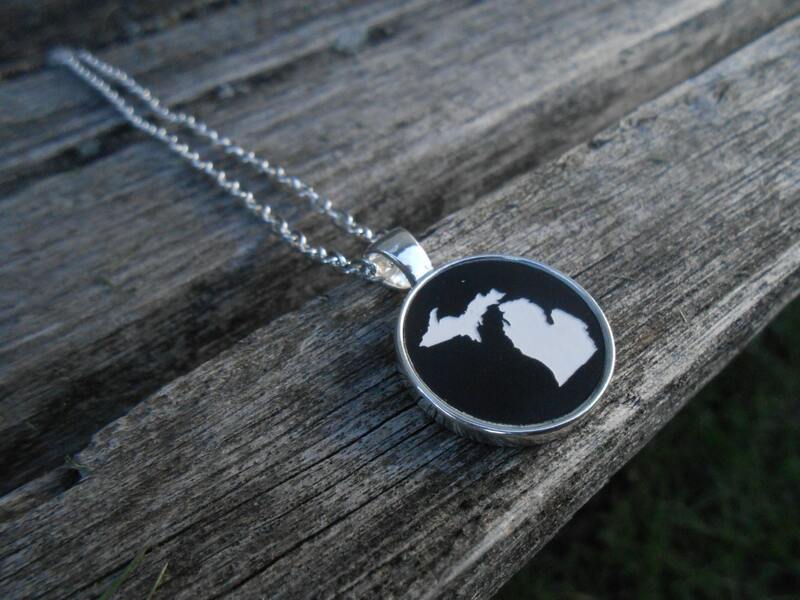 The necklace is made from black & white acrylic and set in a silver plated, 20mm base, with a silver plated chain. 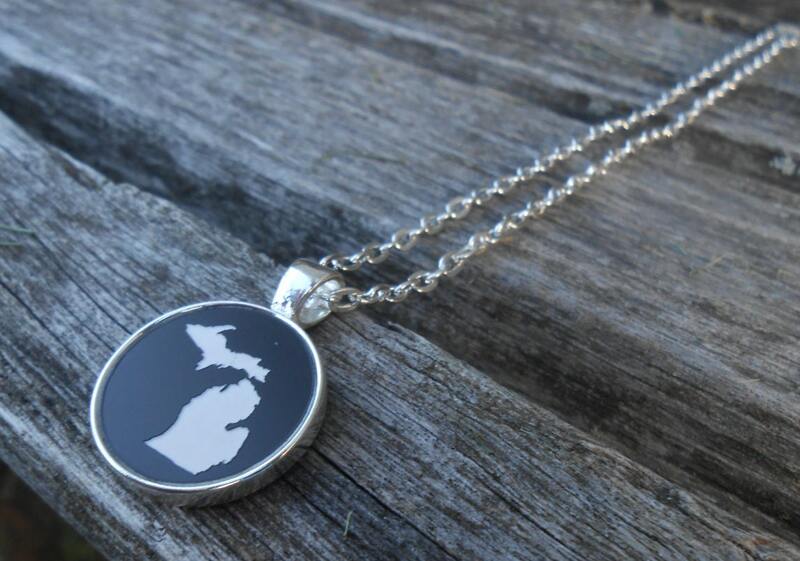 This would be a great gift for any occasion! 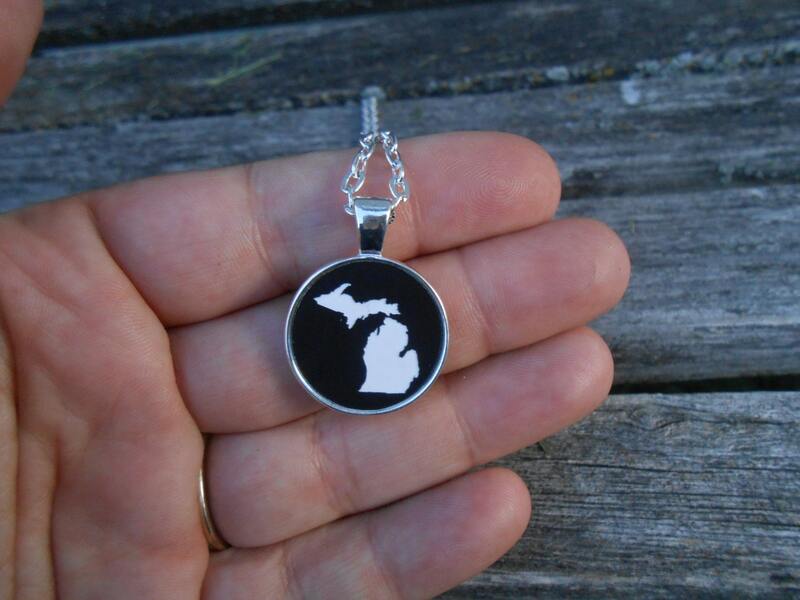 Perfect for a gift for a wedding, anniversary, a birthday, a groomsmen/bridesmaid gift, or just because. This listing is for one pendant and one necklace. ***PLEASE SELECT WHAT STATE YOU WANT AT CHECKOUT! We can also make these with letters, superhero logos, clip art, and all kinds of stuff engraved on them. I can also do custom cufflinks, tie clips, tie tacks, bracelets, etc.